Young children across Somerset East, Cookhouse, Bedford and Adelaide are being better prepared for primary school, in line with our country’s legislation and national policies, which are just one of the reasons why Cookhouse Wind Farm decided to prioritize Early Childhood Development within the Education sector. Forty-seven Early Childhood Development (ECD) Practitioners achieved their NQF Level 2 qualification, having graduated at the end of last year and parents are already noticing the developmental differences. Thabdokazi Mkwena, an ECD Practitioner at Luvuyo Special Needs Centre said, “The training has been very helpful, especially as this is the first time that I’ve worked with special-needs children”. She went on to explain, “At first I didn’t know how to approach a class of children with intellectual disabilities, but theknowledge gained from my training has provided me with the necessary tools and the understanding that all children develop differently and at their own pace”. “These practitioners, who come from twenty-six ECD centres, are now able to provide quality childcare and education to over 500 young children up to the age of six, in accordance with their developmental needs”, explained Elton Gordon, Special Projects Manager for Cookhouse Wind Farm. Commenting on the impact of the programme, a parent from Msobomvu Family Development Centre remarked that the teachers are far more engaging and encouraging, which has led to a marked increase in her child’s eagerness to attend school. Similarly, a parent from Eyethu ECD Centre said that she had noticed a marked improvement in her child’s language and social development. She has also noticed the improvement in communication between the school and parents, remarking how the practitioners are involving parents more in their child’s education. Cookhouse Wind Farm’s flagship project enables Practitioners to achieve a formal qualification and address the challenge of poor performing ECD Centres due to ineffective governance structures and management systems. Furthermore, Practitioners are supported by a dedicated mentor to bridge the gap between study models and classroom assimilation. Practitioners who have graduated will also receive ongoing mentorship and coaching, ensuring that the knowledge and skills that they have gained from the training is applied in the classroom. Mentors visit participating ECD centres to observe lessons and ensure that content from study modules are effectively implemented. Assistance on how to improve lessons or manage challenging issues is also provided. A thorough baseline assessment was conducted on the ECD centres participating in the project, which highlighted the vast need for improved Early Childhood Development facilities and competent practitioners to meet the needs of developing children. 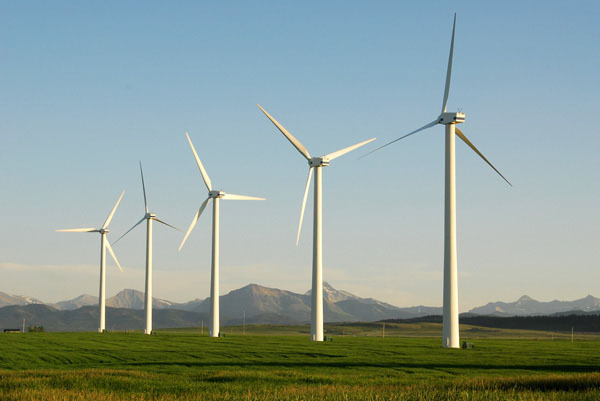 Situated approximately 7km north east of Cookhouse in the Blue Crane Route Municipality in the Eastern Cape, Cookhouse Wind Farm produces enough green electricity to supply approximately 43 000 medium-income South African homes with electricity. 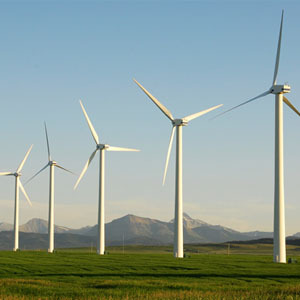 The wind farm spans 2 600 hectares of agricultural land and has an installed capacity of 138.6 MW, comprising of 66 (2.1MW) wind turbine generators. Cookhouse Wind Farm addresses the ongoing and increasing need for electricity in South Africa and avoids approximately 384 000 tonnes of carbon emissions each year when compared to traditional fossil fuel power plants. Cookhouse Wind Farm positively impacts the communities of Cookhouse, Somerset East, Bedford and Adelaide and in addition to this 25% of the wind farm is owned by the local community through the Cookhouse Wind Farm Community Trust.